Do you play sports these days? Busy in our lives we have forgot to play sports. How many sports are you aware of? The most commonly sports in India are Cricket, Football, Hockey, Athletes to most extend Polo and Golf. People around the world are bored of regular sports. So started playing that are more interesting and even more dangerous. Let’s have a look of such bizarre sports played around the world. 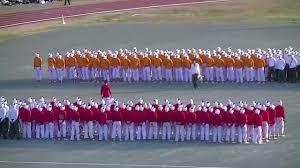 Bo-taoshi is a game played in Japan. 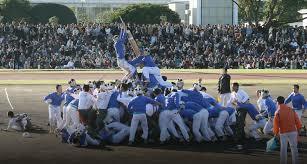 Bo-taoshi in Japanese means“Pole Bring-Down”. The game is played at the National Defense academy by the cadets. It’s famous for its team size. Each team has 150 individuals, 75 attackers and 75 defenders. The players need to defend their pole from the attackers, the team which puts down pole to earth wins. Have you ever surfed? 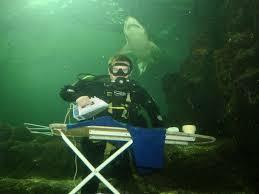 When was the last time you ironed your clothes? How about combining both of them for an exciting sport. 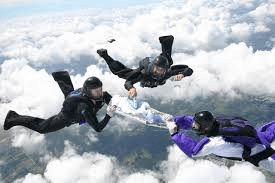 Extreme Ironing is the latest danger sport that combines the thrill and danger and satisfaction of pressing a shirt. 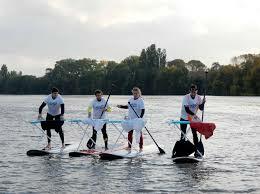 Ironing while surfing is the latest sport in trend. This was originated in England. This sport is not only limited to surfing but can be done while trekking, cycling, skiing, paragliding, to take it a new level this being tried under water also. Kaninhop originated in Sweden. Hop is mostly related to rabbit, because rabbits mostly hop. 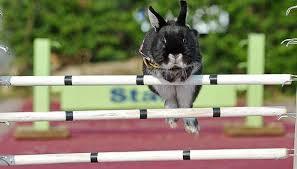 We have seen horses jumping over hurdles, this not a new concept but this time it’s with rabbits. Kaninhop is related to rabbits. Trained rabbits jump over hurdles. 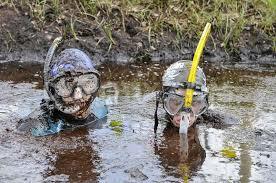 Bog Snorkeling originated in United Kingdom. Snorkeling sport will be similar to swimming. In this you need to use your flipper and the swimming strikes are not allowed to use in Bog Snorkeling. This also not done in fresh water. This is a fighting sport. 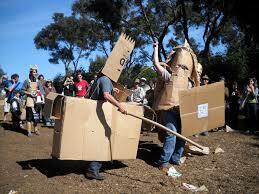 Wear the card board and the start fighting. There are 3 major principles of this game: People need to come out with more ways to play the game, don’t take seriously after the game and the most important is alcohol, fun begins with alcohol. You think ferrets are cute? Having a ferret in hand looks cute how about having a ferret in your pants? How about having two ferrets in your pants? 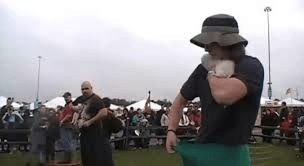 This sport is to hold ferrets in your pants as long as possible.